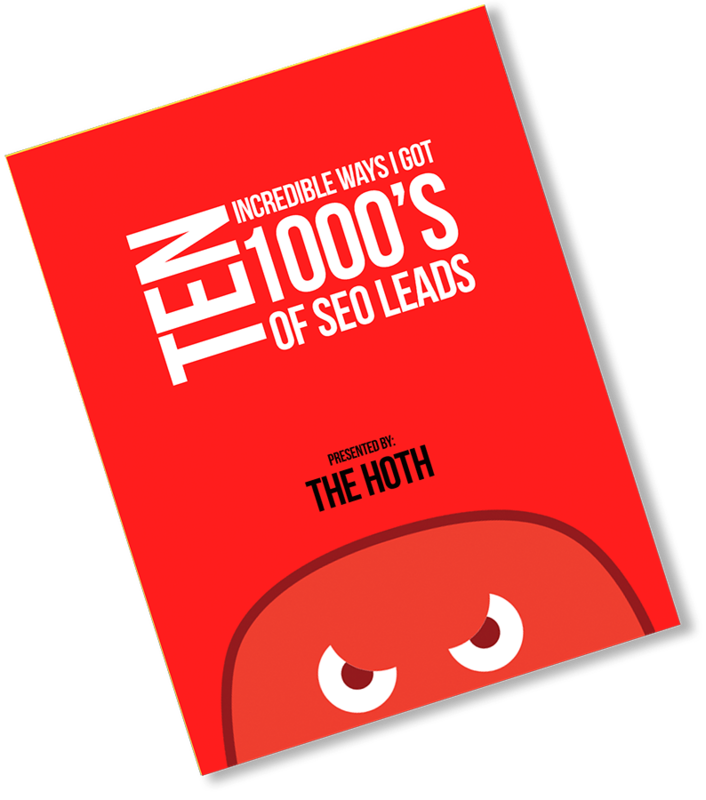 This AMAZING article was contributed to our SEO community blog by Marvin Russell from MySiteAuditor You can get a massive discount on his lead generation software by checking out the HOTH Partners page. I sold SEO services for over ten years as the CEO of The Ocean Agency, a digital marketing agency in Chicago, IL. Over those ten years, my agency became so successful that is was successfully acquired in late 2014. Today, I help SEO agencies all over the world generate an astonishing amount of quality SEO leads and sales through my new startup. In this exclusive blog post, I’m going to show you 10 mind-blowing ways I generated 1,000’s of high-quality SEO leads and sales at my former agency. Before I get started, it’s important to note that paying for our agency’s SEO services was a top priority for many of the businesses and big brands we worked with. The sales I generated were extremely high quality. 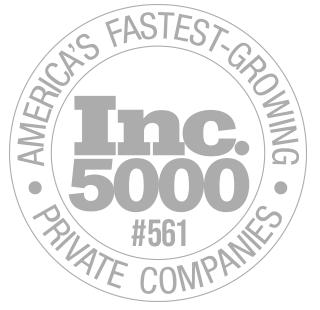 In my last 5 years as CEO, our clients, on average, each paid between $5,000 per month to $25,000 per month. The smallest we ever sold was $2,500 per month, but it was rare and for very specific circumstances. Now for the fun stuff. In this exclusive post I’m doing with The HOTH, I’m going to show you how I generated so many leads which led to a huge and successful total acquisition of my agency. Before you sigh and think to yourself, “duh”, let me explain. I fought like crazy to get my agency’s website ranked on page #1 of Google in the 3rd largest market in the U.S., Chicago Illinois. But, I always stayed ethical and never did any unethical SEO techniques. 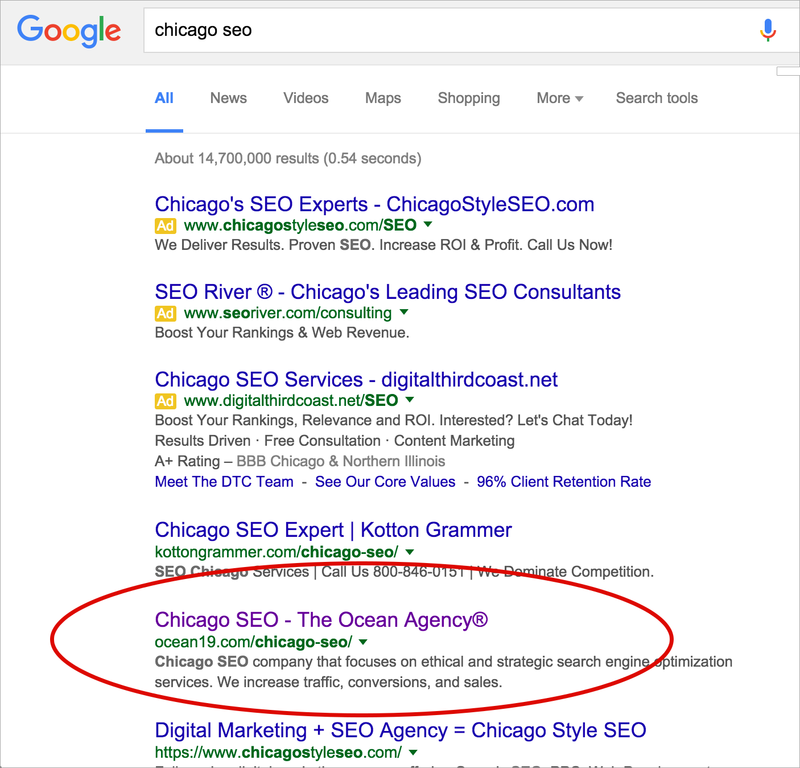 This is extremely important to note, because everyone on page #1 of Google for the top keyword, “chicago SEO” knew each other or knew of each other. One particular company’s CEO was a good friend of mine. He made it to page #1 a few years after I did, and even held the #1 spot for a while. For those couple of years business was booming for my friend and fellow CEO. However, to stay on top of Google he soon resorted to unethical link building techniques, which eventually pushed him down to page #3 and page #4 of Google. To make a long story short, he is literally no longer in business. So, let me explain how I achieved to the top position for the hardest and most competitive keyword in Chicago, “chicago SEO”. As a digital marketing agency, we offered more than SEO services. We also offered web design, development, social media marketing, PPC, and more. Because of this, it’s extremely important to dedicate a top-level web page to each service you’re trying to rank for. Do not target all keywords to the home page, and do not target the same keyword on multiple pages.This confuses the hell out of Google. For example, Ocean’s SEO page is ocean19.com/chicago-seo. Your SEO page would be youragency.com/cityname-seo. If you need to change your URL after reading this, please do so, however, be sure to 301 redirect your old page to your new page. Please notice how ocean19.com/chicago-seo uses the exact target keyword in the URL. This helps Google clearly understand which page to connect their users with, should they search “chicago SEO”. Once I did this, I saw this page soar to the top in a matter of a few days. This is a simple trick that many SEO experts simply don’t do. Aim for 2,000 well written and thought out words on the target landing page. This will give search engines plenty to read, helping them better understand your target page. Don’t just throw content up there. Make sure you write natural and organic content. Also, break it up and make it easy to read so users stay on the page longer. I naturally linked from other pages throughout the content of our own website to the target landing page using the target keyword. In addition, I didn’t use generic words like “services” in the main menu or content. Instead, we always naturally used specific targeted keywords that would help Google understand our target page better, like “SEO”, and “our SEO services”. There’s actually a lot more that I did than the above super important tasks, Those are just the key ingredients to my “secret sauce”. Well, it isn’t actually a secret anymore. My secret sauce can be found when you audit a landing page on MySiteAuditor, my startup I mentioned earlier in the post. Our audit tool audits any landing page and determines how optimized that specific page is for a target keyword or phrase. Our audit looks at over 60 signals that I determined over the years are the most important signals Google uses to indicate relevance and quality. You should note: we update those signals regularly and whenever Google updates their algorithm. One thing we noticed at Ocean, when reviewing our traffic analytics, was that we had a ton of traffic and relatively very little conversions through our contact form and phone number. Thousands of potential customers were finding and entering our website through Google search, but we were only getting a few leads per week. This troubled me for a while. On average only 1% of people who visited our website would contact us for services. 1% is also the average conversion rate for all contact forms, according to a study by Formstack. The remaining 99% of our visitors would leave, and never contact us at all. I spent hours racking my brain on how we could get more visitors, who were already on our website, to give us their contact info before they left. That’s when I came up with the idea of a free website audit tool in exchange for contact information. So we built a free website SEO audit tool around 2008. Our visitors could instantly scan their website and see how optimized it was for search engines; however, in order to use our free tool, visitors would have to enter their contact information. Leads started pouring in! It was insane! I initially spent around $5,000 building a very basic audit tool that looked for 15 red SEO flags like missing metadata, robots.txt file, H1 tag, and a few other signals. Our free website audit tool had about a 10-15% conversion rate, while our contact form was getting only 1%. Think about that. Instead of 1 out 100 people contacting us on our site, we were now getting 10-15 people. After experiencing a few years of insanely huge success with our free website audit tool, I noticed that about 99% of SEO service providers didn’t have an audit tool on their site. Being the entrepreneur I am, this was just the gap I was waiting for. To help my fellow industry professionals out, I launched a startup, MySiteAuditor. MySiteAuditor is a lead generating website audit tool that can be easily white-labeled and embedded on any SEO, web design, or digital marketing agency’s website in 20 languages around the world. Since launching, MySiteAuditor has generated over 180,000 leads for SEO service providers around the world. You can regularly convert 30% of your visitors if you set up your lead page correctly. After the success of our free seo audit tool, we decided to offer other free resources and tools as well. However, we took the time to think about what would be most helpful to our exact target market and if they’d be willing to give us their contact information in exchange for those free resources. Some we offered for free, some we offered in exchange for a share, and some we asked for contact information. These are just a few of the free resources we offered. We would get so many email addresses and contact information that we couldn’t respond to everyone. We eventually used Constant Contact to start an email list where we sent out email blasts with website and SEO tips. On a regular basis, people on our email list would inquire about our services. We called almost every web design, online PR, social media, and IT company we could find in the area and offered them 10% off any SEO business they’d send us. This worked great. Some of these digital marketing agencies didn’t provide SEO services, but they were asked about SEO all of the time. It was easy money for them to make, simply by referring a customer. We would clearly explain and show our partners that we had a very good reputation and that we would immediately send them a check for 10% of the initial contract. This worked so well that we eventually started sending our partners business for services we didn’t offer, like IT services, and they would send us 10% finder’s fees as well. Easiest money I ever made! We also created a referral 10% finders fee document for our customers. 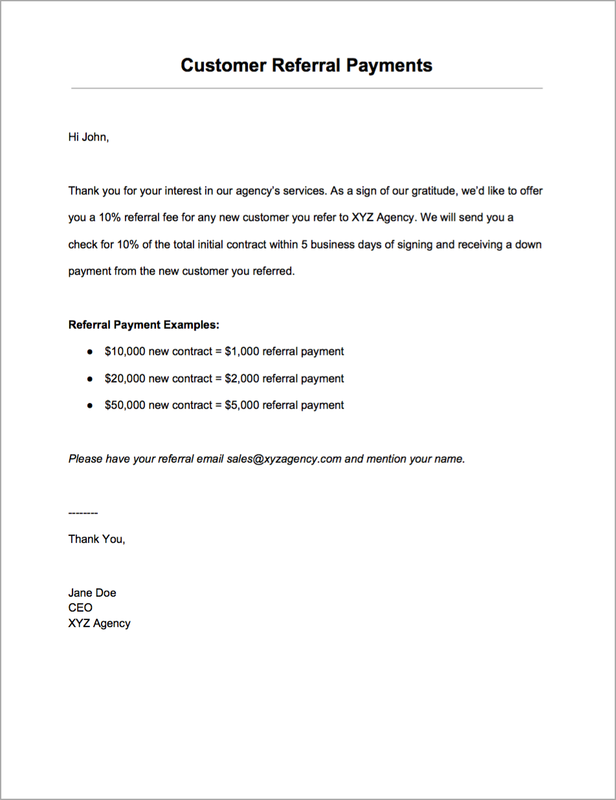 This document offered our customers a 10% finders fee if they sent us a referral that turned into a sale. Here’s how we made sure our customers took it seriously. We made it seem extremely official and intriguing as possible by doing two things. I personally signed every referral document we gave out. It made it seem more official and legit. We also gave examples on the document of how much money the referral fee was if we sold the referral on our different services. In other words, we clearly showed that signing a $20,000 referral would result in a $2,000 finder’s fee when we got the down payment. I remember landing a huge, big brand client that paid us $20,000 per month for our services, and it stemmed from answering a question they posted on Linkedin Answers. We simply gave a helpful answer to a question they posted and a few days later, they reached out to us for a proposal. 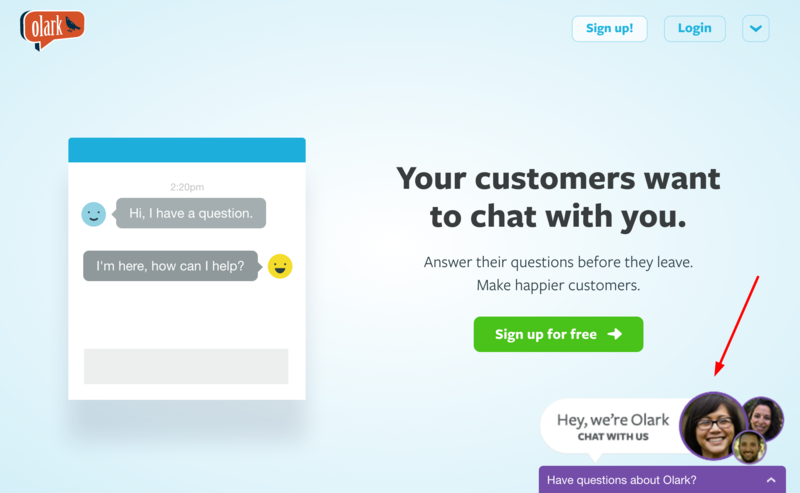 We didn’t pitch them our business in the answer: we just always tried to be as helpful as possible by answering their question, and that led to $20,000 per month and work with a big brand. Of course, LinkedIn answers doesn’t exist any more, but you can use Quora instead. Remember, be helpful by answering questions. Don’t pitch your services. If a potential customer reads and follows your profile to your website, awesome! I added a clause to our contracts that would let us add a link to our agency’s website in the footer of all our client’s website in case anyone of our customer’s visitors wanted to find us. That worked great for gaining new web design customers and generating SEO leads. One of the biggest real estate agencies in Chicago reached out to us one day to inquire about SEO services. They were mesmerized by how we got a small, private real estate agent’s website to the top of Google for the keyword “Chicago condos”, arguably the hardest keyword to target in the Chicago real estate market. When we asked them how they heard of us they explained how they saw a link to our agency’s website in the footer of the small, private real estate agent’s website. That HUGE lead and sale led to a few other major SEO sales in Chicago’s real estate industry and led to hundreds of thousands of dollars in revenue for our agency. Disclaimer: Do not try to get link juice from this type link; otherwise it could hurt your ranking with so many site-wide links. Make sure those links are no-follow links. Think about it like this; you are simply signing your art work so new customers can find you, not to get ranked high in search engines. Remember how annoying live chats were in 2005? They would always pop-up on websites like an annoying mosquito buzzing in your ear. They eventually faded away along with things like chat rooms. But guess what? They’re back and way better than ever. They tracked several sales directly from leads they generated through Olark on our site. We got so much SEO business through the other services we offered on our website, especially web design. Right after we built a website for a business or a microsite for a major brand, the next logical step was to ask them about SEO services. For most businesses, it made perfect sense to immediately start doing SEO. Otherwise, they’d have a website up and running with zero traffic. They were the easiest leads to turn into sales. Here’s one more lead generation trick that combined old-school sales techniques with new-school sales tactics. During our sales team’s downtime, I would have them find and email horrible websites that ranked on the 2nd, 3rd or 4th pages of Google in different industries. This actually worked extremely well. We explained how close they were to page #1 and we could help get them there. We only did about 20 per day though. Here’s an example of the email we would send. According to Internet Live Stats 3.5 billion searches are performed each day in Google, and there are almost a trillion websites currently online. That’s endless amounts of SEO business. If you focus on these 10 SEO leads generation tips over the next year, I promise you a HUGE boost in leads and sales. You and your sales team have to commit to real change. There is so much business out there and I really hope this helps your agency double or triple in size. Don’t forget to read my next post where I discuss 10 fantastic ways you can retain your SEO clients. Editors Note: If you like this article please share it! What have you found works for lead generation? Let’s hear it in the comments! Excellent tip. I started to stay away from low end clients. These types clients took up much of my time as well as my staff and were the most demanding to say the least. Look forward to your next article. I always said I rather have 10 $50,000 clients per year, rather than 50 $10,000 clients per year. Same money, less headaches. The clients with smaller budgets want to understand how every penny is spent. Often they are deciding on whether to spend money with you or take the kids to Disney. So, you will get way more time than clients with larger budgets. Marvin – the question is how do you land these larger clients? Regular lead gen generally doesn’t work. It’s either you know someone or the agency got really, really lucky. Same way in the car business..The better the deal the more complaints. On new! Great information guys, well worth a tweet! Thanks Christian. I’m glad you enjoyed the article. Great post! But some of us have niche SEO agencies, so ranking for a city doesn’t make a lot of sense, as my firm only takes one client per city. Would love to have a chat with you. Do you operate in a specific niche? Thanks for the comment. You can email me on the MySiteAuditor content page. Just include your name and that you read my article on The HOTH. This may be the single most helpful SEO related post I have read in years. I can’t thank you enough for having it up. I’m taking action because of it right now! Thank you so much. Your comment made my day. We work in such a great industry with unlimited business for everyone. The more we help each other the more we will all grow. This comment made my day. I thought that the business is not enough for everyone but after reading this comment i got a new energy of works. Marvin. Strange. I didn’t get anything. Just an email from Niko. Great tips as usual, thanks Marvin! Great tips, Marvin. Thanks for sharing! Thanks 🙂 I’ll check it out. Excellent article, but what do you tell those big clients you will do for $20,000 a month? Provide more than $20,000 worth of value. For us, it’s just a larger scale of link building / content creation / local citation building services. I have had a “Get a Website Analysis” button on the site with no means for fulfilling it just yet. I will be trying out the MySiteAuditor for sure. With regards to the live chat options, I have used those a few times recently on the websites I visit. More and more it seems like calling certain places will only result in a long phone tree and wait times. Thanks for sharing. This is a great article. I have been building my own agency the last few years. I love all the tools you guys share with us. Thanks for all the great content too~ Added the site auditor to our page to see how it looks. Great work. 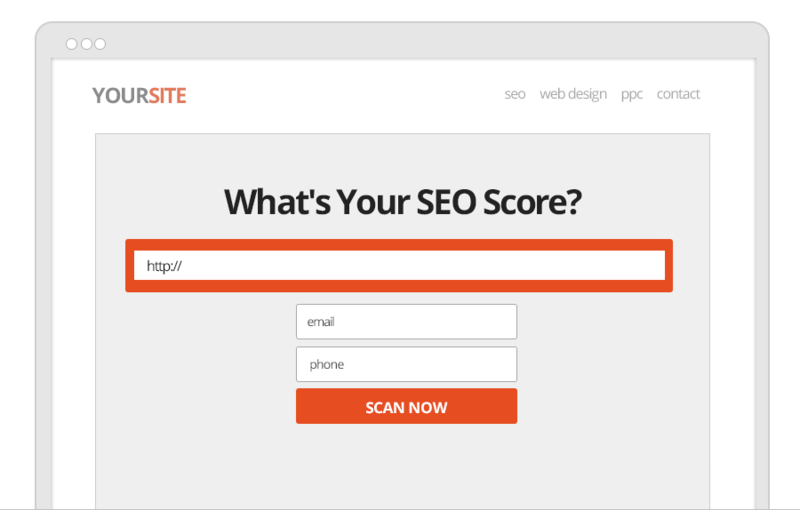 Loved the info about the Site Audit tool – very interesting. Do you think using this with other service pages like Social Media Marketing and PPC, as a cross selling strategy, would work well? I recently created my own agency and trying very hard to score some good clients. Hopefully these tiips will help! This is an awesome, tweet worthy article and full of great tips and I couldn’t wait to send it out! I wish someone had dropped this information on me years ago. I just recently started backing off of the low end clients and moving up the ranks to less clients at higher prices and it’s simply a beautiful thing. Great article, Marvin, thank you! I am inspired and determined to grow my agency to the level you built yours. If you don’t mind my asking, why did you sell if it was so successful? And what value/services did you provide clients that would amount to $25,000 pm contracts? We’ve just started and are at the $1000 pm level, it’s difficult to comprehend what one could offer that would result in the sort of client value. some great tips in here! especially the part about ‘signing your work’ with the no follows. thanks for this! This is overall the most helpful post I’ve read in a long time anywhere about lead generation! Thank you so much for sharing this inside scoop. It’s has been said earlier in the comments and I have to agree that it is possibly one of the best blog post I have read this year. The information within is invaluable to anybody who starting or thinking of building there own SEO Agency. Curious if having our main SEO service page “youragency.com/cityname-seo” will limit your prospects from other parts of the region or country for that matter and limit your search results to that city? Not at all, you can create multiple subpages with cities. So for example if our site main seo page is just /search-engine-optimization and we are wanting to try and do some national marketing, we should just create a new page or multiple new pages with /cityname-seo, right? These do not have to be public in the menu bar, right? and what about content and page design, does it need to be completely different on each one? Yes you can create new city-specific pages. They don’t have to be public. Having unique content would be preferable on each. I think it’s a great idea to use numbers where possible, but basing results off of number of leads they will get is more apt for a paid traffic campaign (like PPC or FB), and if that is the demand from the get-go I would say that it may not be the type of client you want. However, you could go the pay-per-lead model / rank and rent if that continues to be the case. When we sell SEO, we frame it as more of a holistic strategy as creating optimized content is not mutually exclusive from branding, nurturing customer relationships, etc. It gets much easier the more “niche” you go – servicing just 1 vertical – since everyone wants to see that you’ve done it for people exactly like them, plus then you have more specific proof and experience to estimate what results will be. Great content, got a nice idea already to implement that free site audit. Marvin, thanks for your generosity — this post is the best, meatiest, most actionable SEO + SEO/leads gen piece I have read in a long time. It will act as a guide to help us refocus on those 10 gems you shared. Great information here. I especially liked the free website auditor tool for generating new leads from visitors. I will be giving it a try right away. Thanks! We are using most of the techniques above. Anyway It was worth my time. Keep posting. WOW. I was expecting to say “I already know this stuff.” What a great informative piece with lots of great ideas. I just opened a Quora account! hey super article, great content. Learned a lot here. Good post, thanks for sharing your experience and insights! Thanks for sharing these key methods to get more SEO Leads . This is really helpful for startups and people struggling to get good SEO Clients . I will stay connected with your website . You’ll need to be highly creative and provide people with something they cannot refuse. This how effective leads can be generated. The strategies outlined above by all means are very very effective the only challenge is: does the average person reading these pieces of valuables have the tenacity to stick to the formula until they see some well deserved results? I know for a fact that these strategies work but due to the never ending distractions of other digital marketers forcing you to look into what they offer as the newest and latest “press this button and voila” that lead you nowhere but back to the basics which you would never have to pay for in the first place. Your point is very true Royan. There are all manner of methods out there, but too many people look to the hype and tricks for a shortcut rather than the basic principles that are proven to work. Putting the actual work in is the hardest part. Thanks for your comment! Great tips to implement especially creating pages for city.Do you think we van create multiple pages for main cities?we should add those pages in primary menu or footer menu? Awesome, thanks for input Peter! Quora is indeed one of the most popular websites on the web and useful for traffic, and LinkedIn has our ideal professional audience. Cheers! I have this post, and I will not admire it. Those are common sense tips. E.g. just offering webdesign services will help to convert. That is a totally different story on converting web design customers where agencies battle with millions of freelancers. So far, I find the most valuable tip is to put a seo audit kind of tool on a website. Though I think offering a referral fee might also be a good one. It works for us. Thanks for sharing your perspective! The thing about common sense tips is that they are common sense to hear about, but surprisingly few people implement them. And then the ones that do implement them might not necessarily do them at scale to really get a lot of leads. Thanks Marvin for sharing this awesome post. Really, I was looking for such tremendous tips to increase sales for our company. I will definitely try to implement all things you mentioned. Keep sharing such helpful posts. I am now going to use tip number 10. 😀 Thanks! Epic article. There are lots of tips, can be used straight away. Thanks.